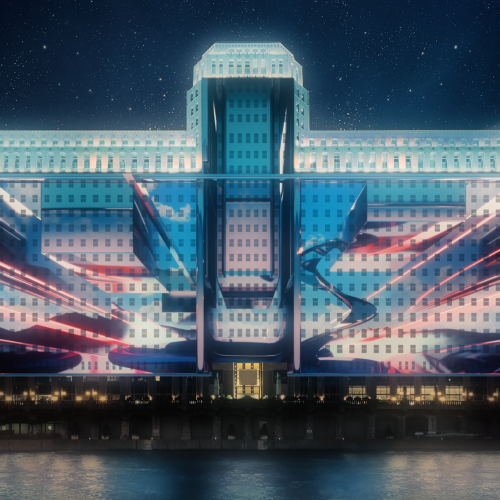 At this year’s annual black-tie gala held by Sir John Soane’s Museum Foundation, New York–based design firm Roman and Williams and the Hall of Architecture at the Carnegie Museum of Art will be celebrated for groundbreaking work with historical objects. Roman and Williams, headed by Robin Standefer and Stephen Alesch, is best known for its hotel projects, including the Standard Highline and Ace Hotels in New York, high-end residential work, and its recent buzzworthy 7,000-square-foot flagship in SoHo called Roman and Williams Guild, which brilliantly showcases the firm’s creative talents in a retail setting. Now the duo is busy implementing a bold two-year redesign of the British Galleries at the Metropolitan Museum of Art, which is slated to be completed in 2019. 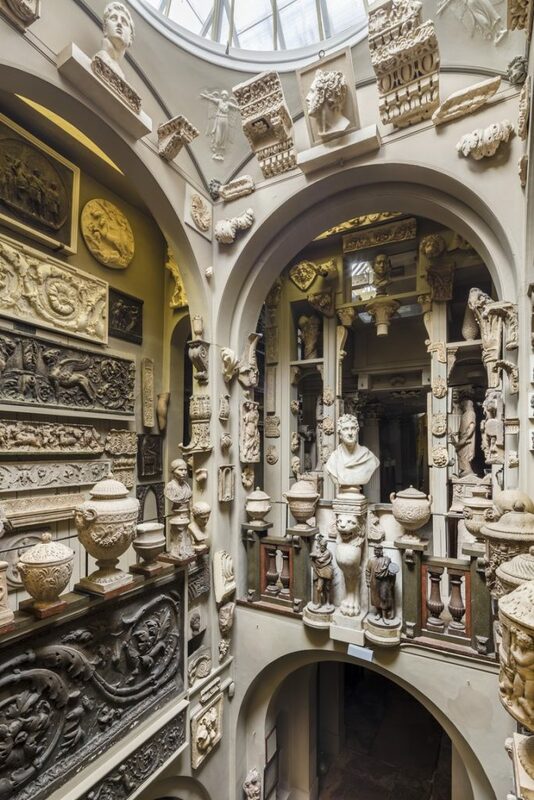 A room filled with antiquities in the Sir John Soane’s Museum in London. The Carnegie Museum of Art in Pittsburgh, meanwhile, is being honored for its collection of plaster casts in the Hall of Architecture. 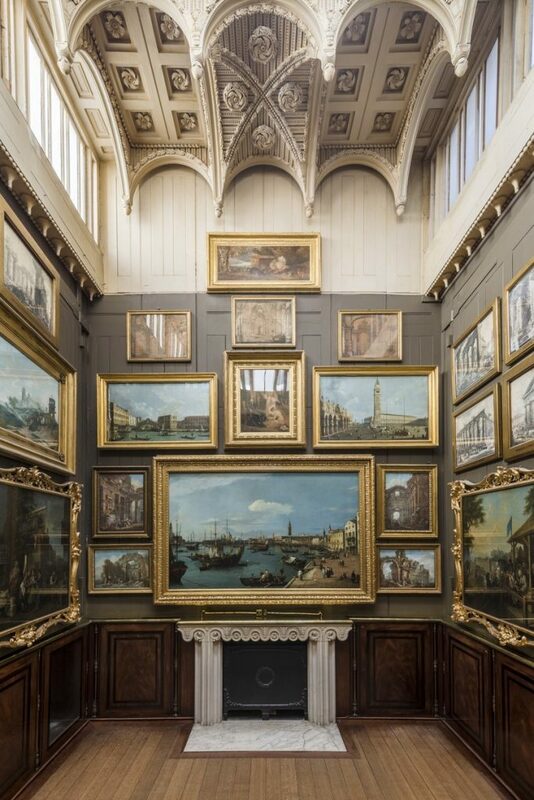 This ethos of cross-collecting and preservation of historic objects is one close to the heart of Soane’s Museum, legendary architect Sir John Soane’s home turned museum in London, which features a staggering 54,000 objects from his personal collection covering almost every wall. In 1833, Soane lobbied Parliament to turn his house, sited on the north side of the historic Lincoln’s Inn Fields, into a museum. He even bequeathed some $40,000 to fund the project—a radical idea at the time. 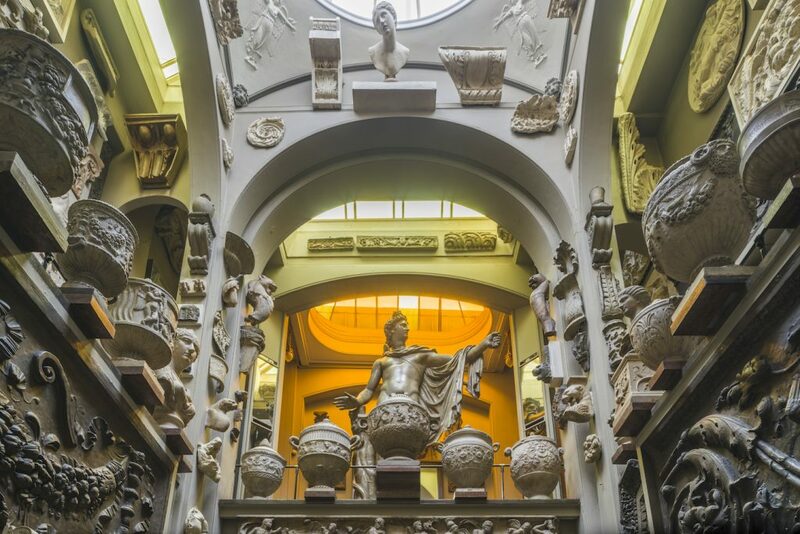 Sir John Soane’s Museum in London features some 54,000 objects. 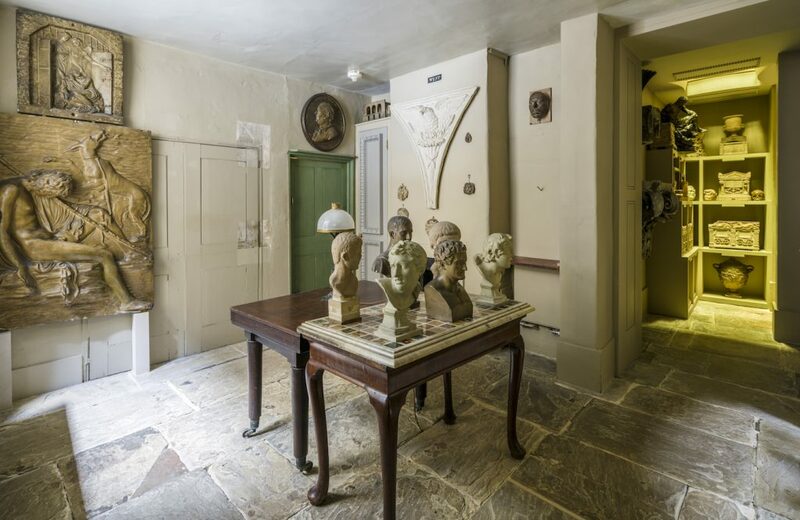 The building wasn’t a traditional home, but rather three interconnected townhouses filled with some of the most theatrical displays of artifacts the public would ever see. 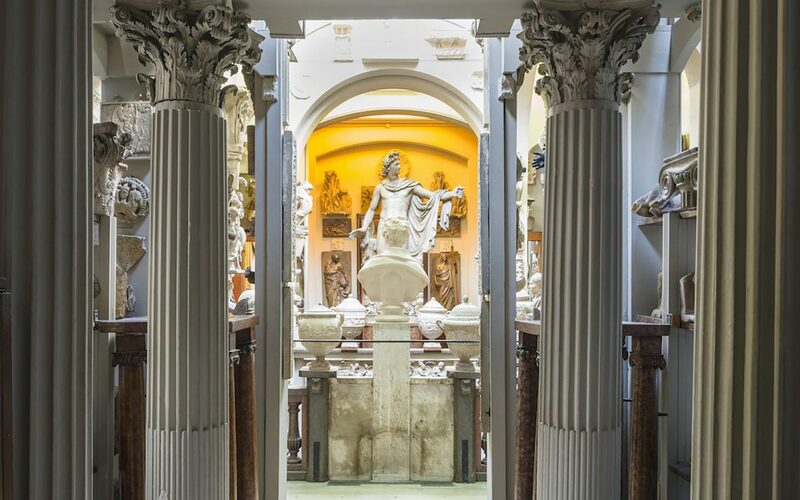 Thousands of relics from fallen empires, including Greece, Rome, and Egypt, mingle with Old Masters, architectural drawings and models, and rare books arranged in every nook and cranny—wall to wall and ceiling to ceiling. 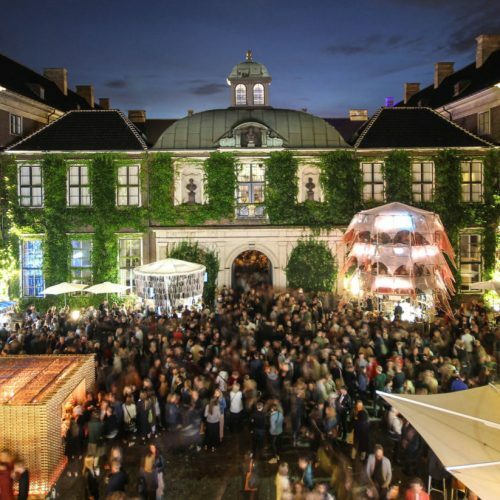 Today, more than 130,000 visitors come to the life-size cabinet of curiosities each year, transported back in time (the house is arranged almost exactly as he lived there) and gaining insight into one of the most creative minds of the day. 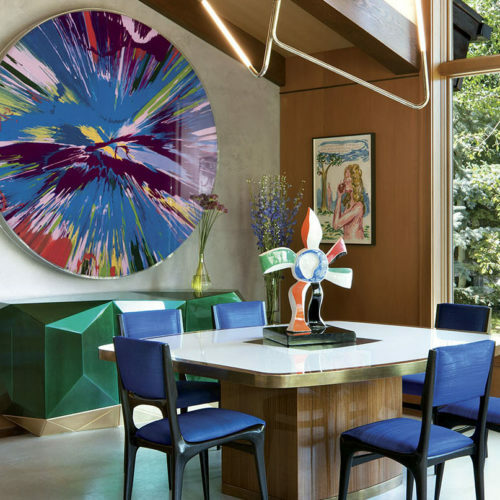 The Soane Foundation in New York financially supports the museum, and the funds raised at the 2018 Visionaries gala will go toward restoring the museum’s Drawing Office, considered the only remaining examples of a 19th-century architect’s workspace in the U.K.
Alesch has also created an artwork that will sell at auction, a striking watercolor on canvas that was inspired by his and Standefer’s visit to the London institution. 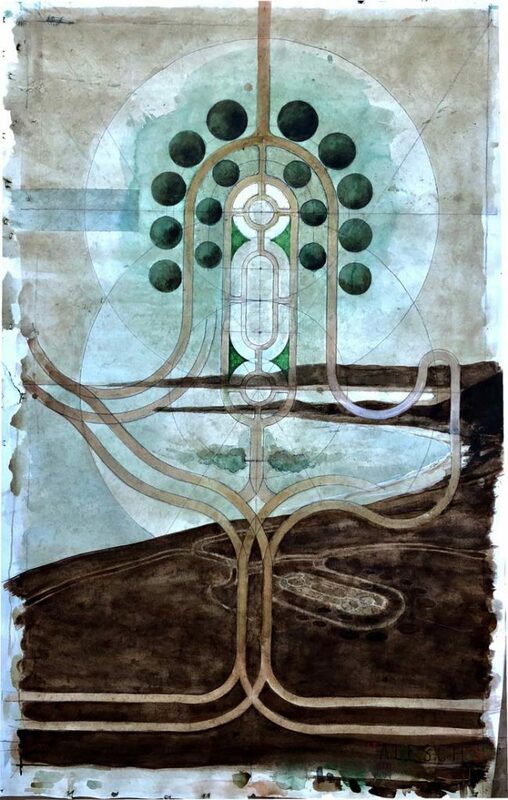 “It is a painting/drawing of the Classical orchard and gardens we are in the process of planting—inspired by our visits to Soane, Classical Naples and Herculeum last year,” Alesch says. The black-tie affair on September 26 will begin with cocktails and dinner in the Rainbow Room, followed by the awards presentation. Tickets can be purchased here. 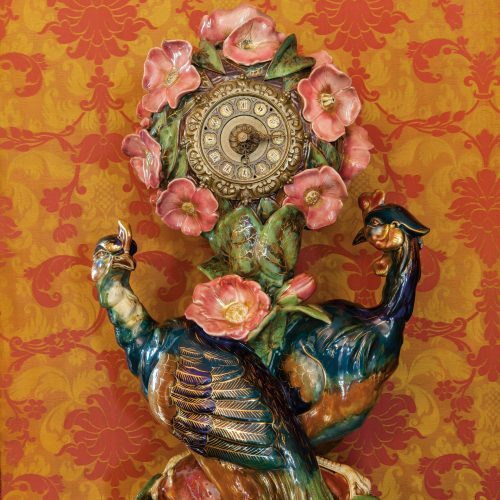 Is Victorian Majolica Back in Fashion?